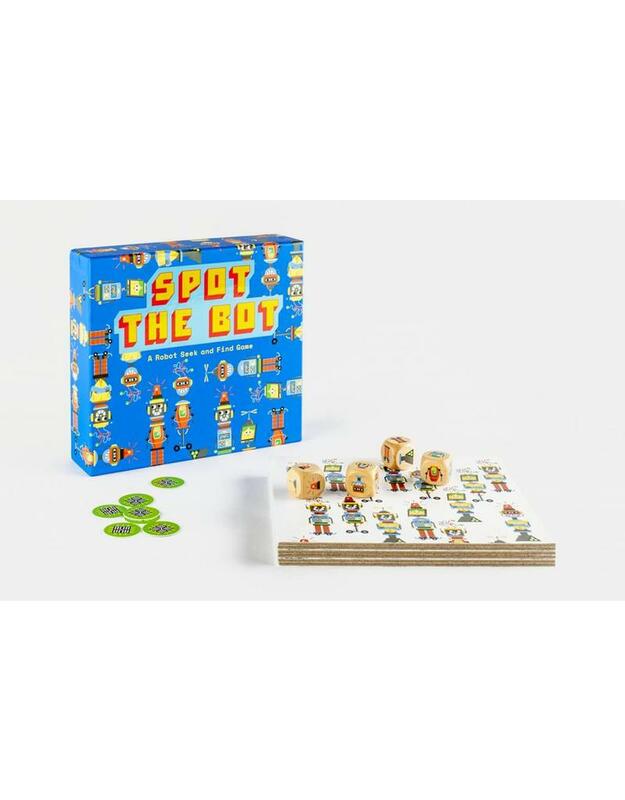 Roll the robot dice and find the corresponding bots on the board! 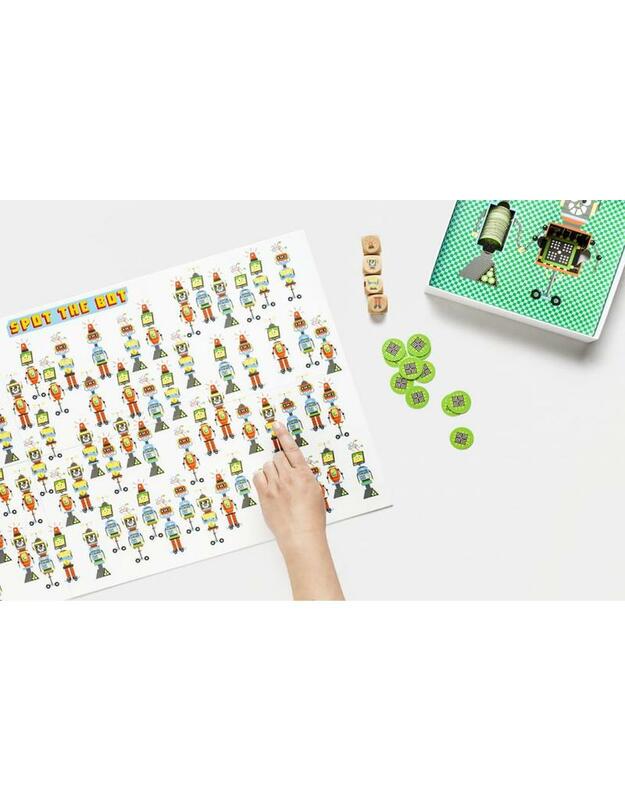 These illustrated dice make up the legs, bodies, heads and antennae of 81 different robots for you to find on the board. 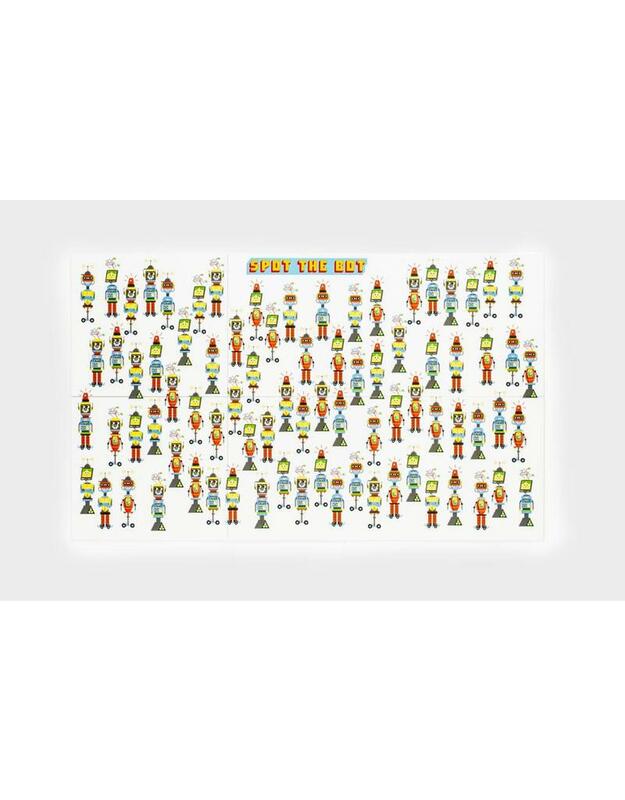 Collect a counter for every robot you spot first; the player who collects the most counters wins. Who is the fastest? Who can focus their mind the most? 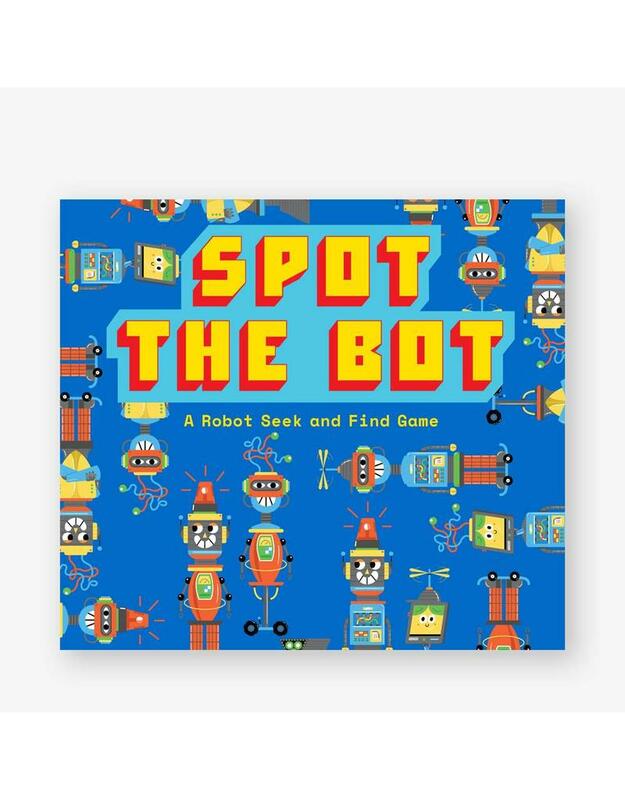 Find out with Spot the Bot, a family game of visual intelligence and quick wit. Elliot Kruszynski is a London-based illustrator. His clients include Vice, Little White Lies, New York Times Book Review and The Telegraph.